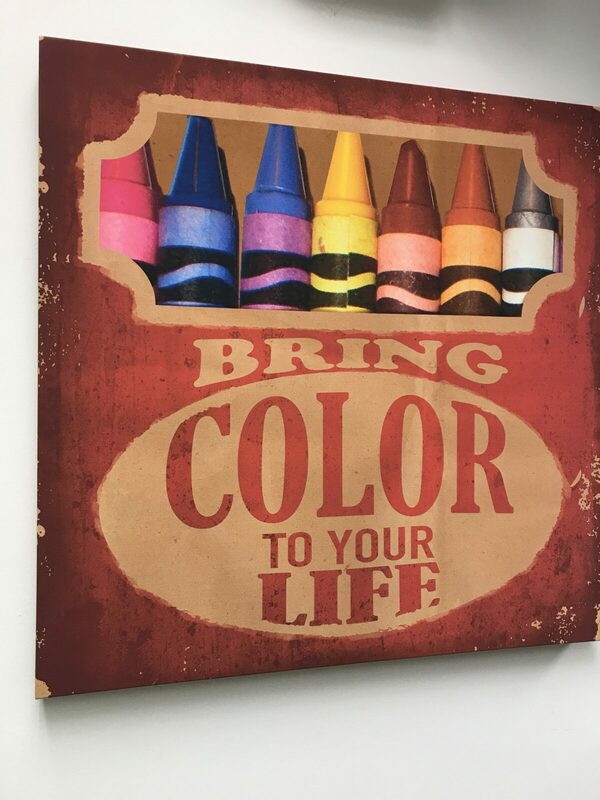 Bring color to your life. It can be a fun adventure and very intentional. Our thoughts dictate our behaviors and actions. Do you know a successful person who seems to deal well with their commitments? Do they have a balanced lifestyle and enjoy everything they do? Characteristically, it is a person with a healthy frame of mind, time for family, business, and community. Do you want to be that person, who is always happy and smiling? They wear color to everything they do. If you are not this person, let’s start today by bringing your attention to it. Quite often we see people who appear so well and later learn that they are not free of pain or sorrow. In fact, they seem to turn every crisis or adverse moment into a big win. These outstanding individuals are usually empathetic and willing to be the first to help others. They are insightful and juggle commitments well. They also have learned to throw away self-limiting beliefs. They stay connected with others who are positive and clear thinking. Juliet Linley, a Vatican correspondent in Rome, balances responsibilities in the newsroom with her family life. She shared in a recent EWTN news interview that she rides her bike to and from work. It is the quickest way for her to get around and gives her time outdoors, as well as, exercise. As a working mother, this Journalist has found a way to incorporate self-care with a busy lifestyle. Like so many people, Juliet has a sparkling attitude and personality. Her confidence comes through her voice. It doesn’t matter who we are or where we live, we all try to balance our businesses, exercise, family needs, and health. It is nice when we can get in our exercise in a natural way like Juliet does. Can you walk to your destination? How can you incorporate fun and healthy things into your life? Can you eat with friends more often to build relationships in a comfortable and meaningful manner? Today I had an appointment for an Condo Association Meeting. The location is about 3 blocks away. The day is bright, not windy, and yet pleasantly cool. I decided I needed to walk the few blocks, so with my gym shoes on and a medium weight coat I headed outside. Not even a block away, I thought about how out of shape I was from not walking on a regular basis. On the way back an hour or so later, I was jubilant feeling. The walk was just what I needed. I will be engaging once again in using my feet instead of my car to navigate around. The weather is changing in my favor and today was a good reminder. Showing up to commitments, staying well and running businesses call us to find balance with our family too. There are times to pray, attend sporting events, and kids recitals. Walking, cycling, boating and reading together allow us to learn about one another. It calls us to staying well and keeping color (JOY) into life. So let’s look at how we might become people marked by colorful moments! Here are a tips that can help you be happier and more fulfilled. Staying prioritized means planning well and following through with the plans you’ve made. Weigh you priorities. Focusing on one thing at a time helps us to do them well. Being mindful of our relationships call us to be connected to one person at a time and allowing for eye-to-eye contact. Make time for recreation and playing with friends is not only fun, but necessary for us to physically stay well. Completing the projects make us feel confident and satisfied. Closure helps propel us forward. Create systems to stay on task, organized, and efficient. Systems can also help others substitute for us when we are unable to perform tasks. Habits set into place are easy to perform. Create menus and grocery shopping on the same day and time. Rituals give us form and are functional. Learning to delegate to others what we aren’t good at doing helps us, as well as, providing business for our community. It allows us time to do what we’re good at doing. Write things down. Particularly your short and long terms goals. Be as specific as possible. Become accountable to someone who will guide and hold you to your intentions or the standards you want.